Trex invented the category, but they didn’t stop there. That same low-maintenance innovation is available in Trex Railing, RainEscape drainage, Deck Lighting and more, creating an entire Trex system of outdoor living. Consider it a package deal you can get nowhere else! 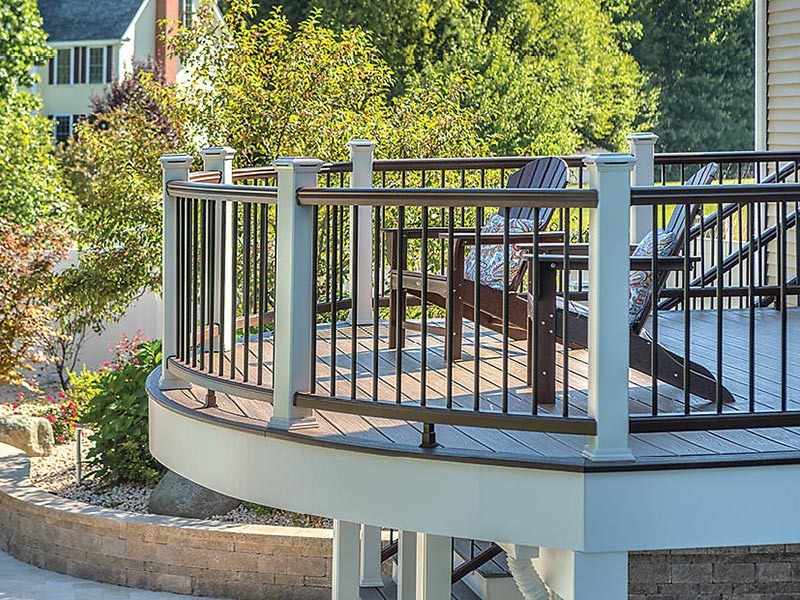 Luxurious-yet-affordable Trex railing offers an easy installation process. Available in classic colors that complement any deck design – all paired with the balusters to match. Tree high performance railing won’t rot, warp or splinter, never needs painting or staining, and installs easily and quickly with an external bracket system!